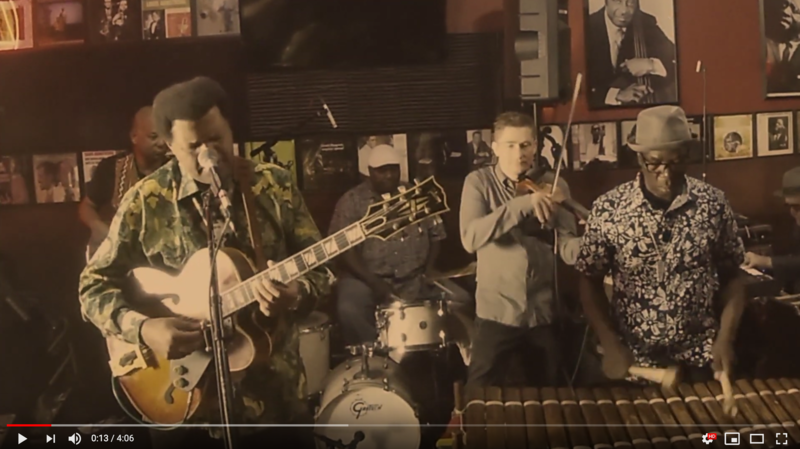 Award Winning Guitarist/Vocalist and University Professor Pascal Bokar understands the connections between West African music and the sounds of the American South. The Pascal Bokar Afro Blue Grazz Band is a Unique Powerhouse of Sights and Sounds. 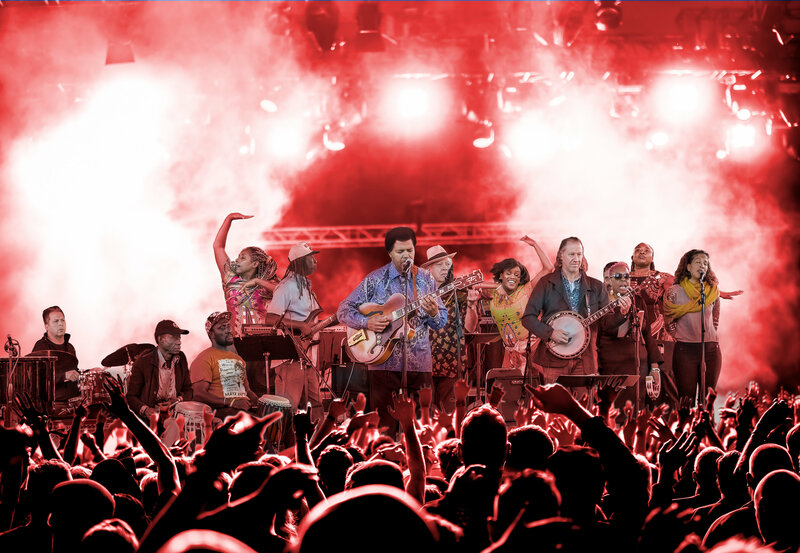 It brings together the sounds of the banjo, fiddle of the Appalachia with master percussionists from West Africa, the Balafon of Mali (African marimba) and the irresistible funk grooves and vocals of the African American experience. Pascal Bokar previous recording Guitar Balafonics was selected by Downbeat Magazine as one of the “Best CDs of 2015.” Pascal Bokar is listed in Jazz journalist Scott Yanov’s Book entitled Great JazzGuitars. Dr. Pascal Bokar Thiam is also the owner of the Award Winning Savanna Jazz Club of San Carlos, CA, and is recipient of the Jim Hall Jazz Master Award from Berklee College of Music. Notable musicians on this record: fiddler Blaine Sprouse (Bill Monroe), bassist Tony Saunders (Eric Clapton & David Crosby), Gospel Hawkins Family, and keyboardist Steve Carter (George Benson & Bobby Womack).